The ball ornament is a classic Christmas staple that you can find in any craft store. Today we’ve found five simple and stylish projects you and the kids can do together using them. 1. Sherry over at Young House Love whipped up these colorful glass swirl bulb ornaments as part of their fall pinterest challenge. 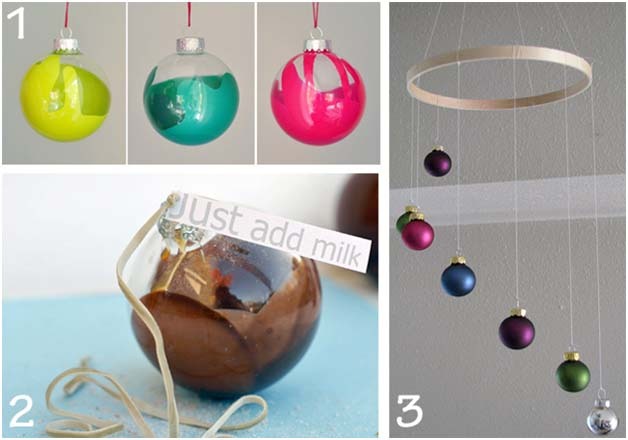 Check out her post for a video tutorial as well as lots more ornament inspiration. 2. These caramel sea salt ornaments are such a unique party favor. 3. A minimalist ornament chandelier, the perfect project for a modern home. 4. 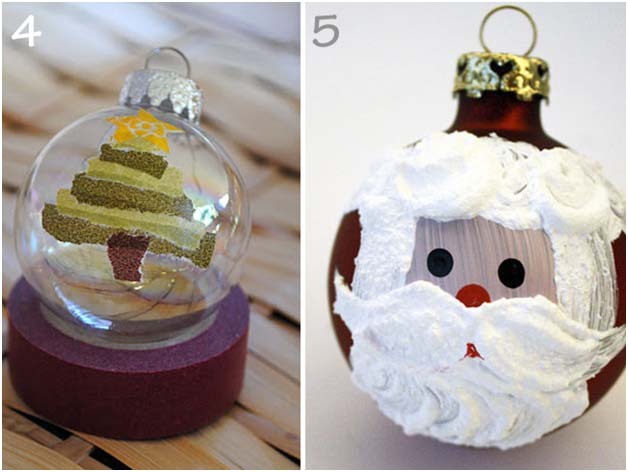 Big and little kids alike will love making washi tape ornaments. 5. You can never have too many reminders that Santa’s watching. Plus, this painted Santa ornament is super cute.